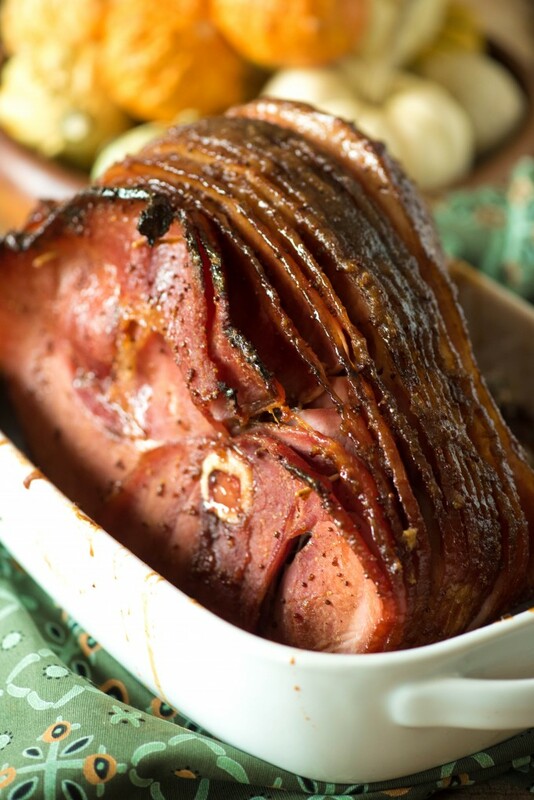 This Brown Sugar Glazed Ham is the perfect centerpiece for your meal, especially around the holidays! It will have you coming back for seconds! Every single year, this ham goes absolutely ballistic. 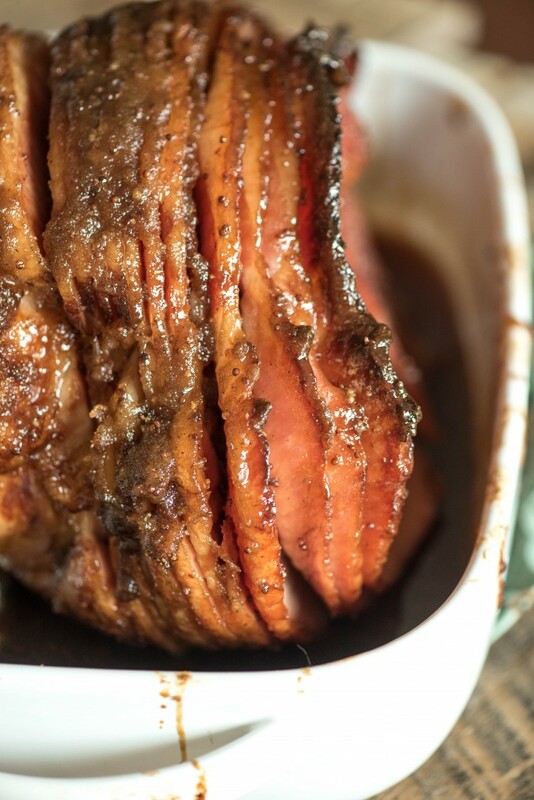 This brown sugar glazed honey ham is perfect for any and all holidays, whether it be New Year’s, Christmas, Thanksgiving, or Easter. Man, people go crazy for ham, don’t they? While I personally am not one to sit down to a ham dinner, I do love making one once or twice a year. 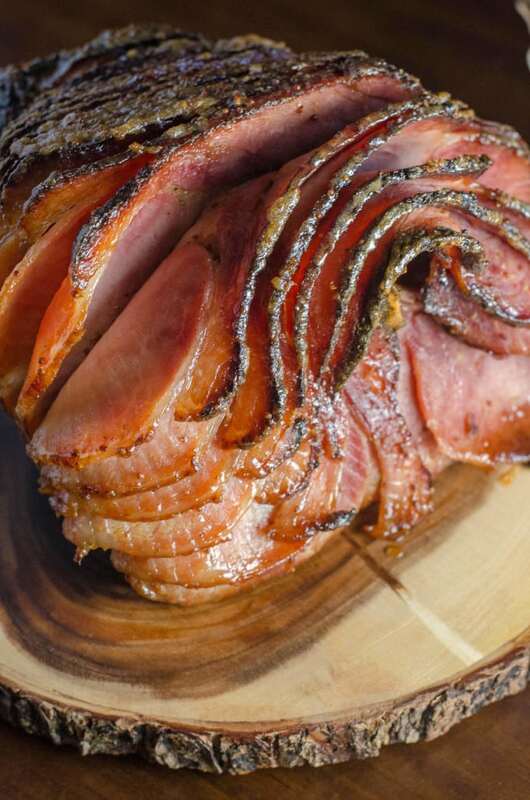 It’s an easy way to knock out a main dish centerpiece (because really, how pretty is a baked ham? ), and it provides a huge opportunity for what I like to call “reboot recipes,” where you take your leftovers and make them into a whole new dish (think rotisserie chicken, for example). For me though, the best part about this ham is snacking on it straight out of the fridge. Like an animal. 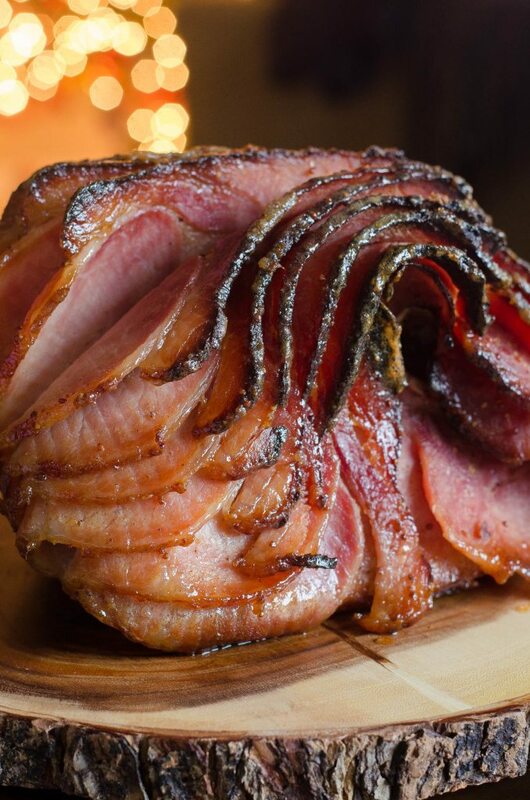 My favorite part of this has to be the crust on this brown sugar glazed ham. The sweetness of the brown sugar and honey goes so well with the saltiness of the ham. I could sit and pick it off all day long. Baking dish- I recommend using a baking dish for cooking your ham. You can get a Rectangular Baking Dish here! Glazing brush- A sturdy glazing brush that will last, is a key kitchen gadget to own. Grab this Silicone Basting Brush to add to your kitchen utensils! Small saucepan- This saucepan is perfect for making your glaze and is great for easy cleanup! You can get yourself a Saucepan here! In a small saucepan, combine 1 cup brown sugar, honey, cloves and mustards over medium heat, stirring until smooth. Place ham in a baking dish. Brush the ham with the glaze. Spread the remaining ⅔ cup brown sugar over the top of the ham and press to adhere. Drizzle with more glaze. Bake for 10 minutes per pound, re-glazing every 20 minutes. Tent with foil if ham begins to brown too much. What size ham do you use with this recipe. I think the ham I did was maybe 7-8 lbs? I still have at least half of it frozen haha. did you use a precooked hame or other? I use precooked, I think thats the only kind I ever see in the store! This looks delicious and is the recipe I’ll be using next week… I’m just a little confused by the glazing process though. Up top you say that you coat the ham in brown sugar, let it melt, then start glazing. But in step 3, you say to glaze first then coat with brown sugar. When does the melty brown sugar step come in? Do you cut the rind off first & expose the fat?? Does the ham need to have the rind removed to expose the fat, so it can be basted? Nope! I buy a spiral sliced ham and proceed from there.